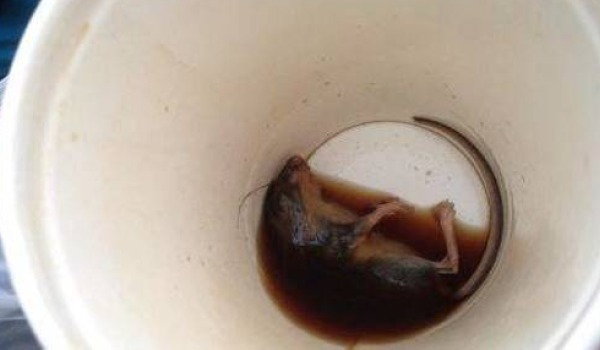 Man Finds Dead Mouse In McDonald’s Coffee Cup. Again McDonald’s? Come on! Give your consumers a break. Fast food giant McDonald’s seems to be in the news lately for all the wrong reasons. This time, a very unlucky customer Ron Morais, picked up his every day cup of morning coffee from McDonald’s and a few minutes later pulled off the lid to drink his last sip. But what happened after was totally bizarre and left him feeling queasy and sick to his stomach. A dead rat sat curled up at the bottom of his coffee cup and beside it were tiny droppings swimming in the leftover coffee. As for Ron, he said he will never purchase anything at any McDonald’s ever again. Share and let all your friends know that it’s becoming dangerously disgusting to eat fast food anymore!